There is a large need for nursing positions, specifically travel nurses, in the Houston, Texas area. The need is driven by such things as the many people who make up the baby boomer generation reaching ages where they require the assistance of nurses in some capacity and also recent changes in healthcare laws. Top specialties for travel nurses include dialysis, ER, neonatal, and psychiatric. Being a travel nurse gives you the opportunity to build your clinical competency through assignments at award-winning facilities while traveling to exciting new locations across the country. The need is so large that hospitals and companies are sometimes turning to travel nurse staffing agencies to help fill vacant positions. The best agencies are committed to having a high standard of integrity and customer service, making a difference in their local community and helping those in need. They also offer competitive bonuses, have friendly staffs, and offer flexible hours to their candidates. 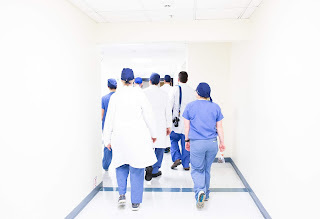 Typical qualifications for those interested in joining a travel nurse staffing agency include having 2 recent years of experience in a given specialty, current licensure/certification, and consistent work experience. Hospitals and companies who hire for nursing positions through staffing agencies can benefit themselves and the candidates in many ways. These staffing agencies also reduce the cost of the hiring process, allow companies access to a larger network of candidates, and add years of experience to the hiring process. As a travelling nurse, you'll be presented with a choice of open positions, and you'll decide if there's a healthcare facility, location, and shift that you like. You may travel to a new city when your assignment is up, or you may choose to remain where you are if it’s a location you like. Assignment duration varies, with some assignments lasting only eight weeks and others up to 26 weeks. Travel nursing is an exciting career path which enables licensed nurses to travel the country while doing what they love and helping others. Ascend National has been assisting with staffing needs for travel nurses in the Houston area for years and they also help fill positions for nurses (in general), medical and dental, office and accounting jobs.